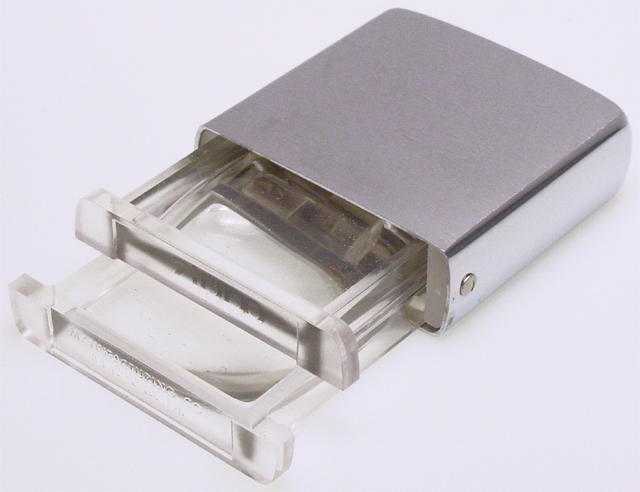 and holds two plexiglass lenses of 1" square size for magnification. 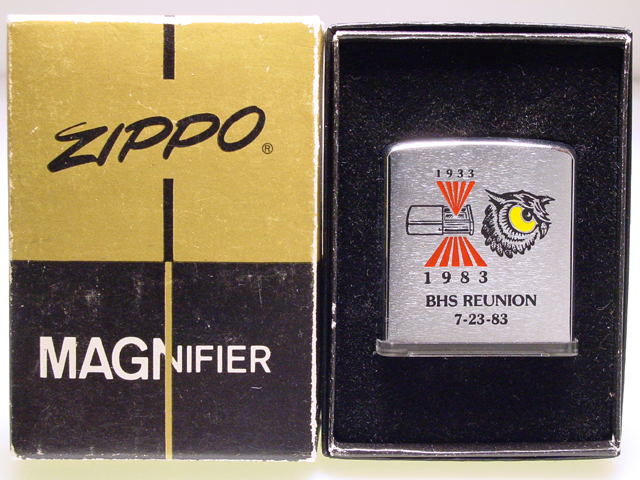 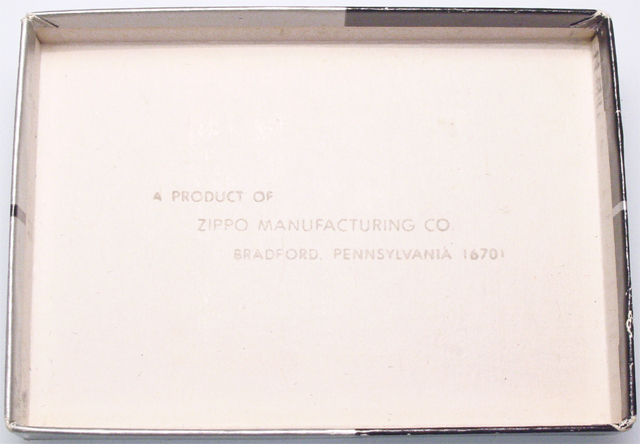 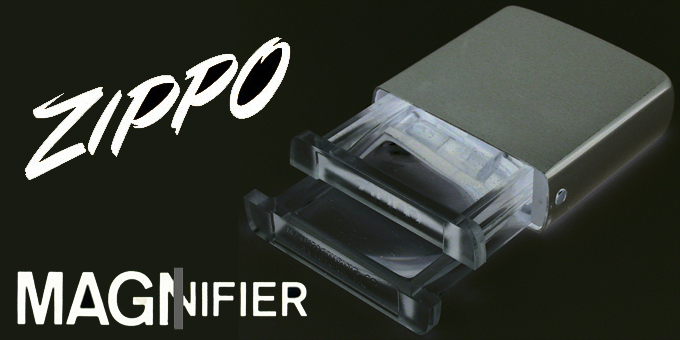 had the Zippo logo molded into them. 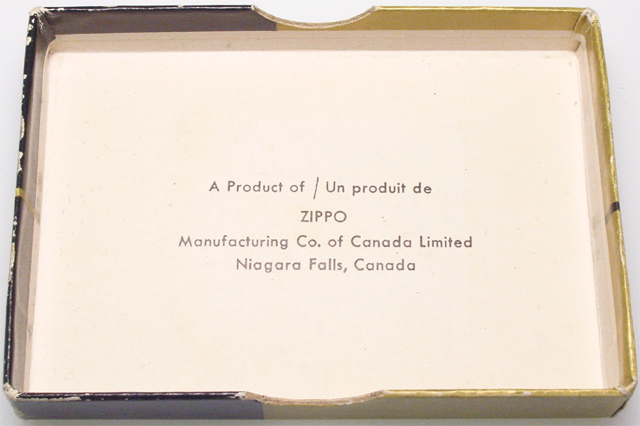 The two-piece cardboard boxes were produced by F.N. 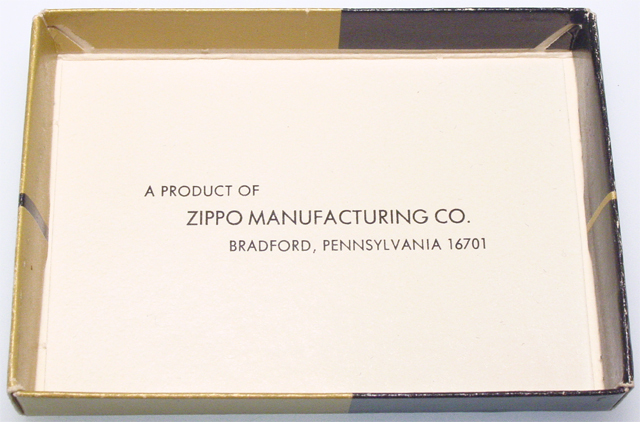 Burt in Buffalo, NY. 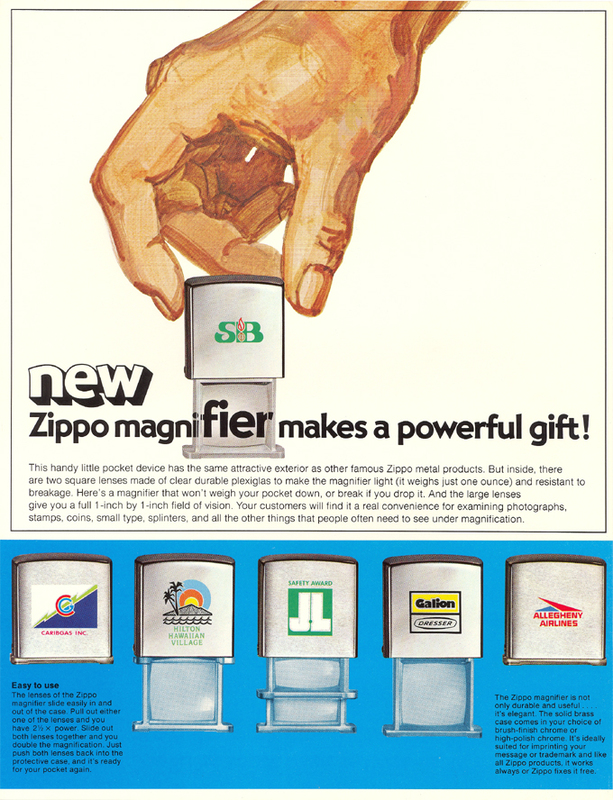 design changes the colores were gold and black since 1977 then. 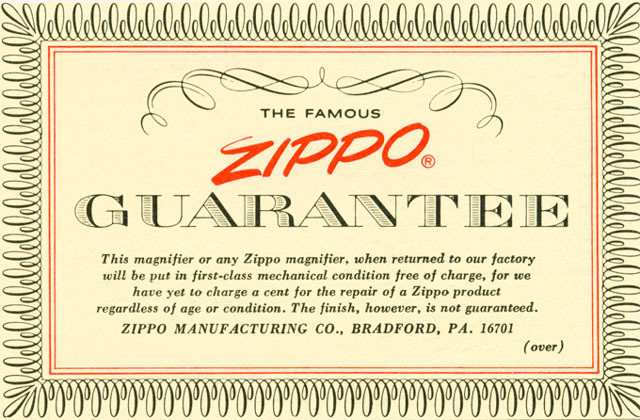 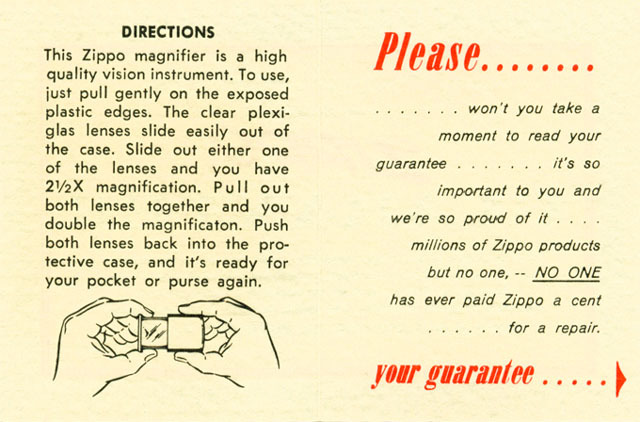 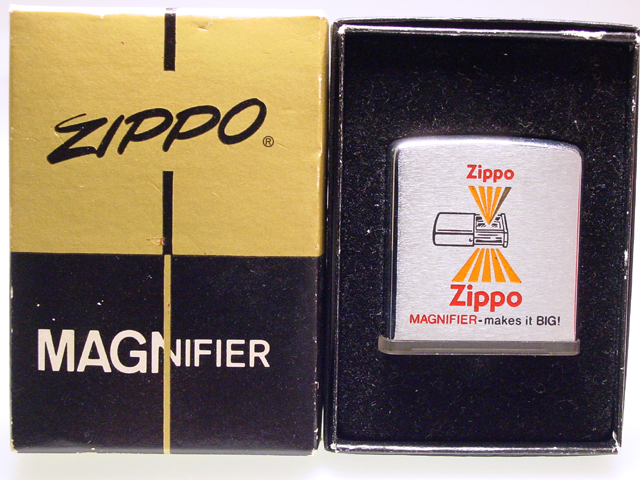 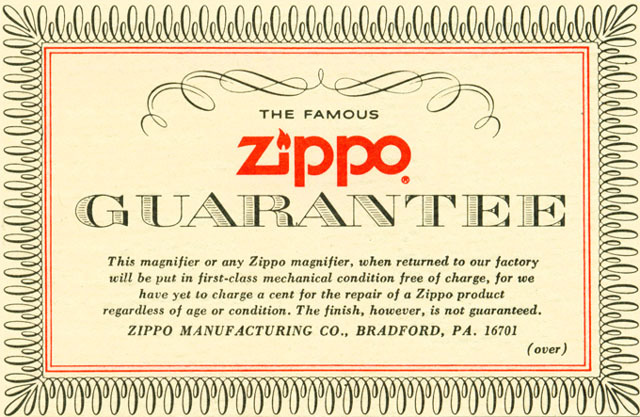 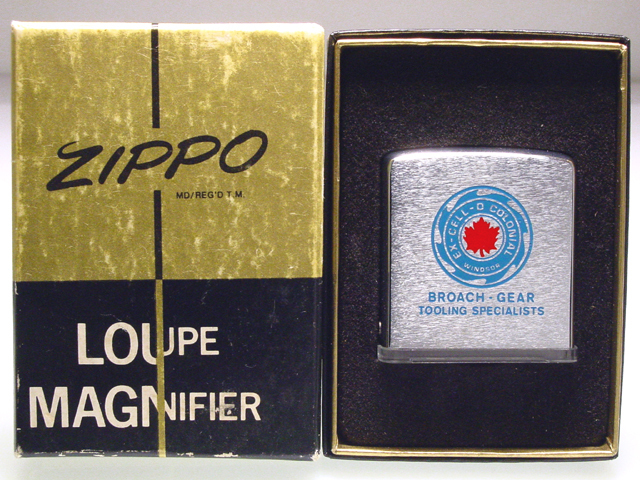 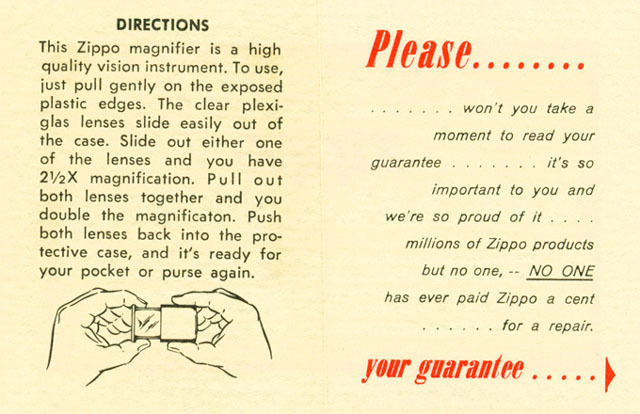 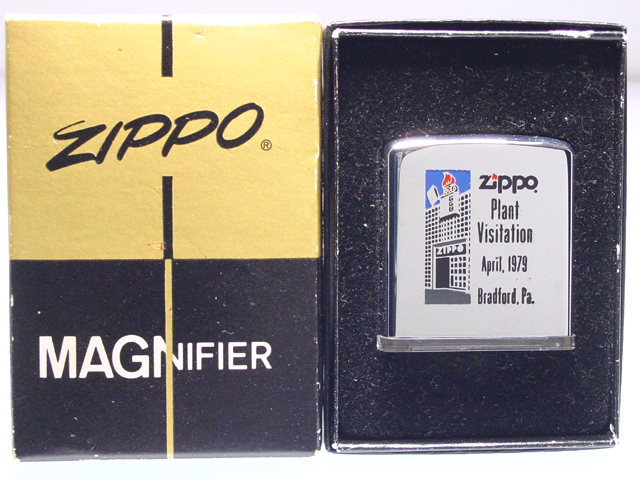 The boxes contained special guarantee cards explaining the magnifier.